The above products are recommended for installation or mounting of the Rivnut Threaded Insert Tool. 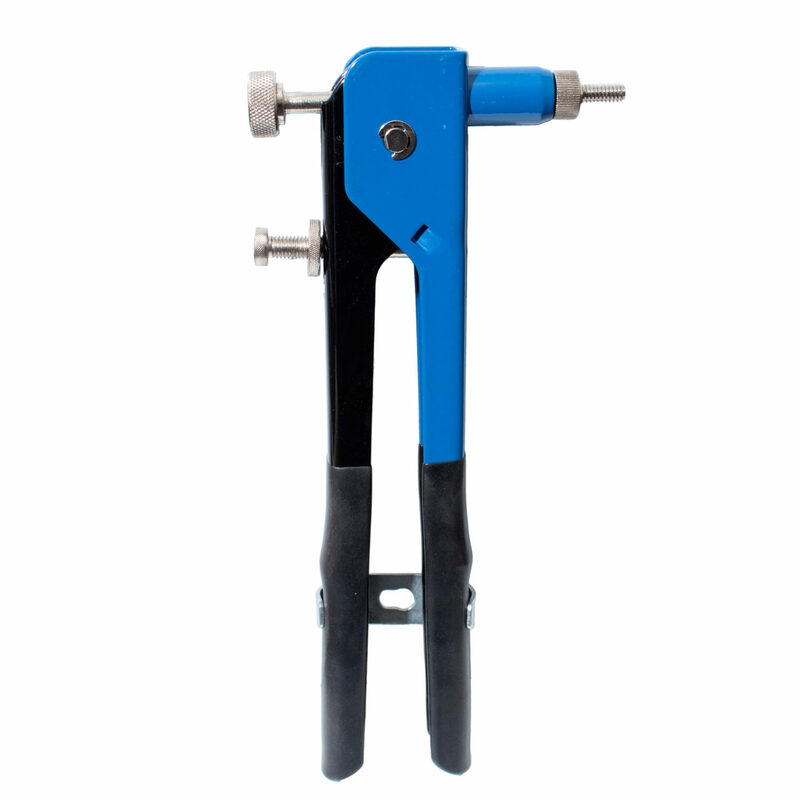 Use this Rivnut Threaded Insert Tool to install Postside Handrail Brackets into posts. Thank you for your question, Mark. It comes with a few different threads, one of which is indeed 5/16″. Is it possible for the posts to have the rivnut installed at the factory rather than requiring the drilling of the hole for insertion of the nut? It seems to be a known position rather than something variable on each installation. Unfortunately we don’t pre-install the Riv Nut in house. While they are typically installed at the same location, there are many applications that require it to be installed up to a 1/4″ higher or lower depending on your specific application. What size mandrels come with the tool, i.e., what are the “few different threads”? Thanks! This tool comes with the following thread sizes: 6-32, 8-32, 10-24, 10-32, 1/4-20.